SOFIA, Bulgaria (BulgarianMilitary.com) – Today, President Rumen Radev who participated in a wreath-laying ceremony, marking the Bulgarian Aviation and Air Force Day, called on the appointed group of experts, who currently examine the submitted offers for the new fighter jets, to be provided with the opportunity to evaluate them without being pushed, learned BulgarianMilitary.com. 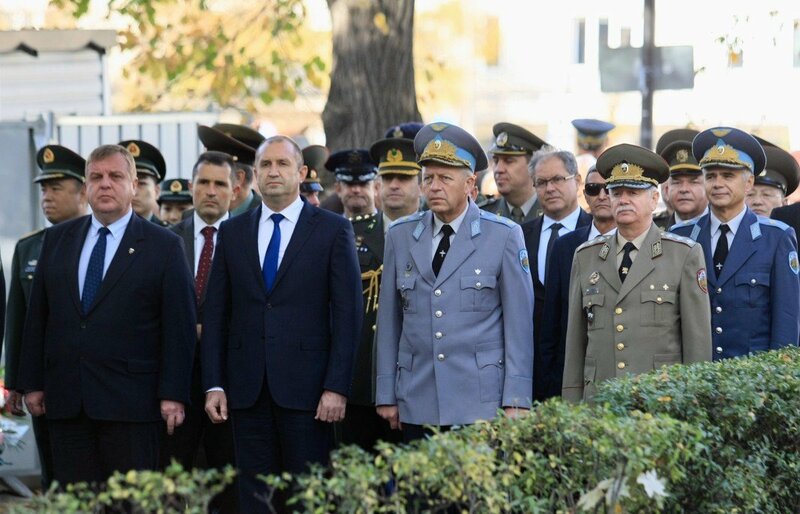 Today’s ceremony was held in front of the Monument of the Pilot at National Assembly Square in Sofia and was also attended by the Minister of Defence Krasimir Karakachanov. There, President Rumen Radev insisted the Prime Minister, Ministers and Members of Parliament to maintain “radio silence” on the choice of a new type of fighter aircraft, while the interdepartmental expert working group is still working, in order to “show” that we are a civilized country and words, such as transparency, objectivity, equality are not void of meaning to us. On Monday, the Defence Minister Krassimir Karakachanov said that the project is progressing and the group of experts is doing its job. He added that letters were sent to the participants to clarify some details. His ambition is for the second politico-military group to conclude its work by the end of the year, but without strict deadlines in order to be avoided mistakes, which to make them vulnerable. The former Bulgarian President, Rosen Plevneliev also commented on the topic of the new fighter acquisition, saying that he is concerned about the choice that our country will make. Last week, he stated that according to him, Bulgaria is about to take “a completely wrong decision” ignoring the geopolitical aspect and the capabilities of the Bulgarian Armed Forces. He confirmed his words by saying that in the countries of NATO’s eastern flank operates only F-16, not Gripen; and Bulgaria won’t be capable to contribute to the collective security as well as to its own, if it acquires a “boutique system” as Gripen fighter aircraft it is.